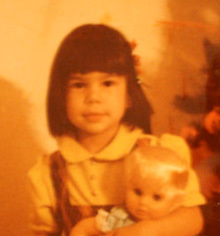 Kerri Made: to reuse, or not to reuse? yeah, it's not much of a question. 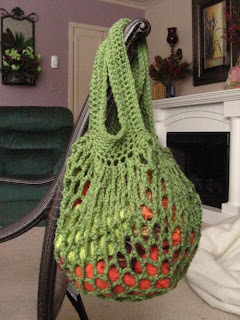 Two nights ago I found myself checking ravelry for a pattern for grocery bags. 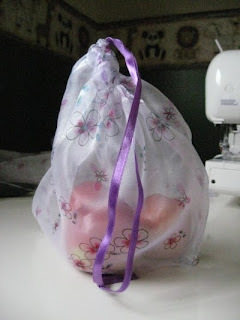 Mainly this came about because I had been sewing small reusable produce bags. The first batch was fine, small (I cut 6 out of one metre of fabric), but fine. They were made out of a sheer fabric. I winged it without a pattern, it is just one long rectangle and a drawstring. Of course lacking in foresight I overlooked where the drawstring was going to actually come out of the bag. Silly me, I paid for it by handstitching in buttonholes through the french seam on one side and threading the ribbon through that. The second batch I made out of tulle and they just cant stand up to the pressure. The problem was the material itself, the seams all held up fine, but the tulle just stretched to the point of breaking. I'm sad about this because I had actually remembered reading a tutorial but couldn't remember where it was. It took me a while to find but this is the excellent tutorial from this great blog. More will be made as soon as I score some more sheer fabric (no I won't start chopping up the curtains...yet). But there's more! I did find a pattern on ravelry for a grocery bag. Here is a non-ravelry link to the designer's blog about the pattern. Oh! And the last little bit of obvious news is my new camera. Horray for pics! 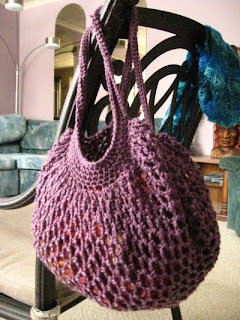 **edited to fix the bad link to the non-ravelry econo-mesh shopper bag pattern. Thank you, Wondermommy! This post was just the push I needed! Always hated using those produce bags, even if I do use them over and over, but never thought of making them in addition to heavier cotton shopping bags. So some old sheers are destined to become a few produce bags. And also thanks to your post, I'm working on one of those expandable grocery bags. Except for the color yours looks just like one I bought in Europe years ago and still use. Never found a pattern quite like it before. Oh no, the non-ravelry link for the bag doesn't work. I was looking forward to making that bag...it is really cute. I think that I'll be waiting forever to be asked to join Ravelry. Let me know if you fix the link because I really want to make that bag. 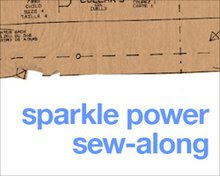 Thanks for the tip - I need to hunt down some old sheer curtains. I've seen the tutorials that involve tulle, but having worked with a lot of tulle in my life, I figured that it wouldn't be tough enough for this job. I love your grocery bags, too. They are cute enough to be handbags! Those knit bags are beautiful! Thanks for being part of The Great Comment Expedition on Feeling Stitchy!